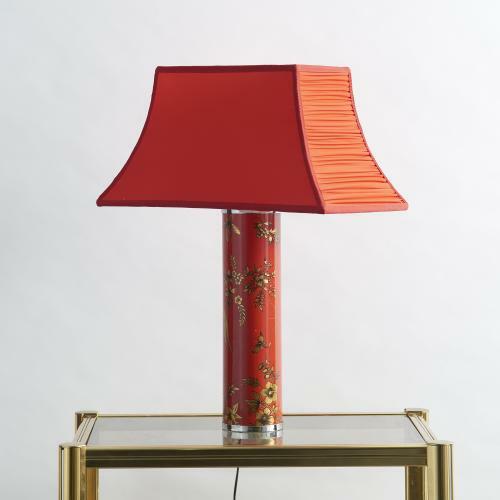 Piero Fornasetti, metal table lamp, screen lacquered with the Chinese technical "Gran Coromandel", prod. Fornasetti, Italy, 1960's. We have a certificate from the "Italian Ministry of Fine Arts". We can sell it without lampshade with a discount.